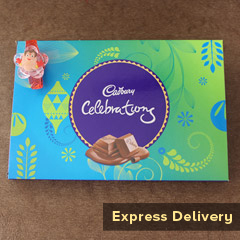 We understand that your relationship with your brother is probably one of the sweetest kinships that you have. 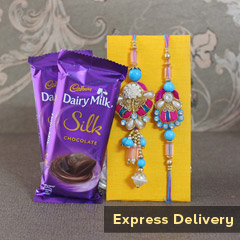 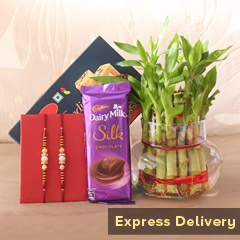 So we bring you on our online gift shop platforms some of the most sumptuous choices of sweets and confectionaries that come in combo offer with beautiful designer Rakhis. 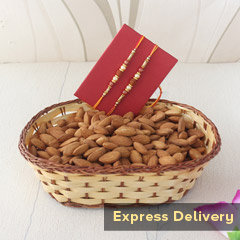 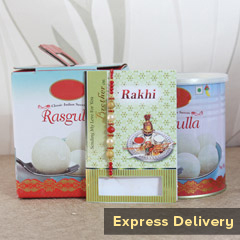 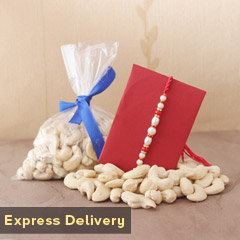 Choose from the delicious rasgullas, Kaju katlis or Laddoo and order for a fast delivery to send Rakhi to Taiwan.